Perhaps no other space organization in the world has as much experience in charting the future of rocketry as does TsSKB Progress in the Russian city of Samara. For many decades its engineers supervised production and upgrades for the legendary Soyuz rocket, the oldest launch vehicle in the world. Moreover, in the 1980s, the company served as the prime manufacturer of the largest (and some say the best) super-heavy launcher in the world -- the mighty Energia. 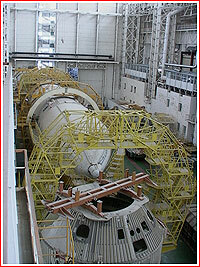 Not surprisingly, when the time came in the second decade of the 21st century to draw a road map toward a future Russian super rocket -- TsSKB Progress was among the handful of bidders with a highly anticipated tender to the Russian space agency for the super-heavy launch vehicle. By the beginning of 2013, RKK Energia in Korolev, GKNPTs Khrunichev in Moscow and TsSKB Progress in Samara, were well along with their concepts of super-heavy rockets. While RKK Energia's designs had been known to be based on Energia-K and Sodruzhestvo projects and GKNPTs Khrunichev had circulated Yenisei-5 and Amur-5/Angara-100 concepts, officials in Samara had yet to unveil their vision on the subject as of the middle of the year. As it transpired, on Jan. 10, 2013, TsSKB Progress signed a formal agreement with the Russian space agency's strategic planning institute, TsNIIMash, to conduct a study code-named Oblik–TsSKB. (Oblik means outlook in Russian). Similar contracts were signed with other key Russian rocket developers. In their designs, GKNPTs Khrunichev and RKK Energia both relied on tried and tested RD-170, RD-180 and RD-0124 engines, burning liquid oxygen and kerosene. However, at the beginning of 2013 it transpired that TsSKB Progress had favored an unusual propellant combination of liquid oxygen and liquid methane for its family of heavy launchers. The use of methane would require a yet-to-be-developed engine, known as RD-0164. TsSKB Progress earlier proposed to introduce the new propellant on the Soyuz-5 rocket, a much smaller launch vehicle designed to precede the development of the super-heavy booster. Since the existing Soyuz rockets already employ cryogenic liquid oxygen, the Russian rocket industry should have few problems developing similar facilities to produce liquid methane. By April 2013, TsSKB Progress had drafted a whole new family of heavy launchers with payloads ranging from 85 to an unprecedented 190 tons delivered to low Earth orbit. 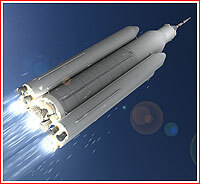 Two and three-stage architectures somewhat reminiscent of the Energia rocket all featured a central core stage and from two to six strap-on boosters. At the smaller end of the family, there was a "man-rated" rocket designed to launch a next-generation spacecraft, PTK NP, beyond low Earth orbit carrying a crew of four. For the heaviest payloads, engineers planned to change the propellant in the core stage of the rocket from liquid methane to more efficient liquid hydrogen and surround it with six methane-burning boosters of the first stage. This colossal rocket could easily support the most ambitious space projects, such as manned expeditions to Mars. To employ liquid hydrogen, TsSKB Progress planned to equip its future rockets with the RD-0120 engine, which was originally developed for the Energia super-heavy booster. Although much of the manufacturing heritage from RD-0120 had been lost in the post-Soviet collapse, by the beginning of 2010s, KBKhA design bureau in Voronezh started digitizing all available documentation for the engine in the hope of an eventual revival of the project. In another surprising development for the Russian rocketry, solid-propellant boosters came close second in the choice of propulsion systems made by engineers at TsSKB Progress in 2013. They argued that simplicity, low cost and high reliability make solid-rocket motors very attractive for the role of first stage boosters in the super-heavy rocket. In addition, solid boosters could be relatively easily upgraded by adding standard segments to the booster. TsSKB pointed out that space rockets in the US, Europe, Japan and India all had employed solid propellant on their first stages. 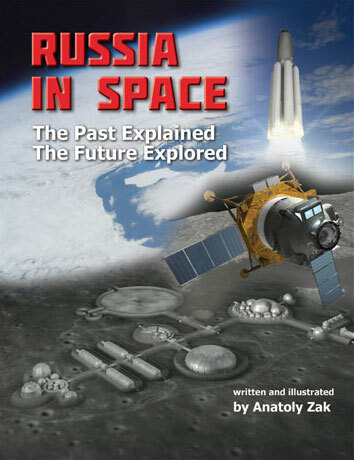 Ironically, one country which almost never used solid motors to propell its space vehicles was the USSR and Russia. As a result, TsSKB Progress had to rely in its analysis of this technology on the experience of the Moscow Teplotekhniks Institute, MIT, the nation's prime developer of military ballistic missiles. MIT developed several generations of the Topol ground-based ICBMs, including Topol-M, and the newest submarine-based ballistic missile -- the Bulava. Obviously, the solid rocket motor used in the NASA's Space Shuttle would be a yardstick to measure against. MIT proposed a solid motor build of six segments. Like the Shuttle's booster, it would fire for the first two minutes of flight before separating from the main (core) stage of the rocket. However, the empty structure of the booster would be made more than half lighter when compared to its American predecessor thanks to the use of light-weight plastic material instead of steel. TsSKB planned to use two, four or six solid boosters on various versions of the heavy rocket, if the solid propellant was selected for the job. Above: Head of RKTs Progress Aleksandr Kirilin demonstrates the company's proposals for super-rocket to President Putin on July 21, 2014. During his visit to RKTs Progress in Samara in July 2014, the Russian president Vladimir Putin was shown the company's proposals for super-heavy launchers. Both rockets featured eight strap-on boosters borrowed from the first stage of the yet-to-be developed Soyuz-5 rocket and propelled by the methane-burning RD-0164 engine. Four similar engines would power much larger second (core) stage. During the first phase of development, the rocket with a liftoff mass of 2,500 tons would be built for delivering 85 tons of payload to the low Earth orbit. It could be eventually upgraded with a powerful upper stage boosting the payload to 130 tons. According to a poster shown to Putin at RKTs Progress' main assembly hall, these super-rockets would be used for launching future manned spacecraft and cargo ships, space station modules and to support deep-space missions, including the exploration of the Moon and expeditions to Mars. A methane-burning Soyuz-5 rocket could pave the way to much larger boosters using the same propellant. The initial STK booster with a payload of 85 tons and the liftoff mass of 2,500 tons as of July 2014.